VDL KTI designs and fabricates a broad range of products. From heat exchanger in Oil & Gas industry to custom-designed scrubbers. In combination of our expert engineers, experienced operators in metalworking, and modern machinery, VDL KTI has the ability to manufacture challenging and large-scale components. We transform your demands into design & products! VDL KTI, a member of VDL Groep, specializes in design and production of equipment for oil, gas, and petrochemical industries since 1973. In addition, the company is active in various sectors such as power & electricity, shipbuilding and defense industries (our references). Certified by the highest international codes and standards, VDL KTI is devoted to provide high quality and reliable manufacturing solutions. 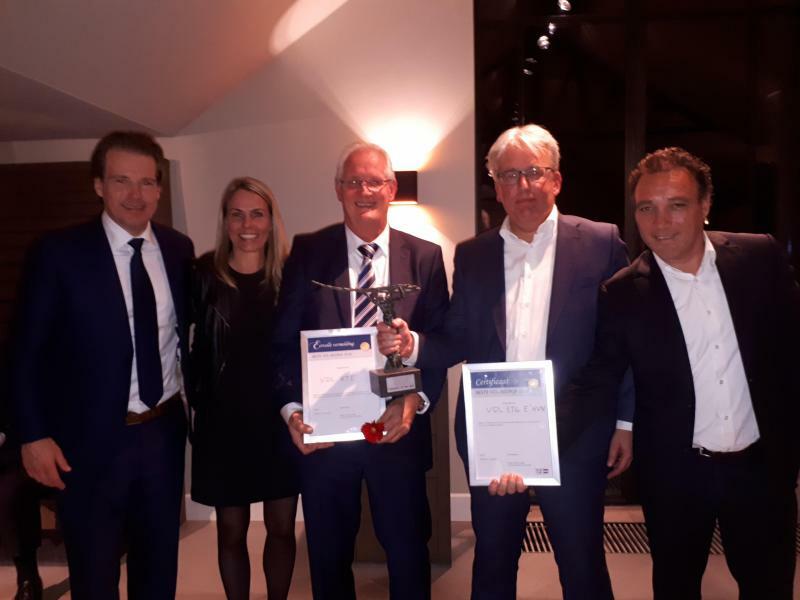 VDL KTI chosen "Best Company of 2018"
Among all 101 VDL Groep companies, VDL KTI has been chosen "Best Company of 2018" in the "small company " categories by all VDL directors from the 20 countries. VDL KTI is a specialist in the development and production of parts for the gas, oil and petrochemical industry. Proud to be part of VDL KTI and good job everyone!! Our director,William van Hout (third from the left in the photo) presented at the prize giving ceremony.